CAPT. Isaac L. Harcassle, Jr. opening the command meeting. US Navy SL 3rd Fleet command has now a RADM at the helm. 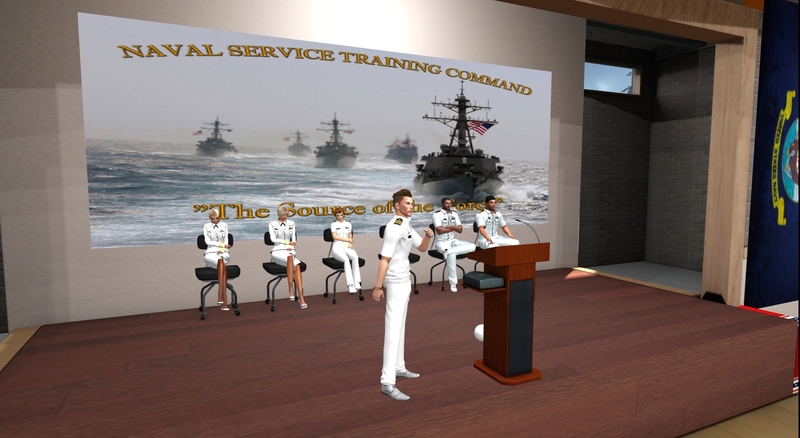 On the USN SL command meeting held at NSTC Nautilus on 04/24/2016, the senior officers present endorsed CAPT. Isaac Harcassle as Rear Admiral (upper half) - RADM - in recognition of his achievements and outstanding work towards the improvement of the United States Navy SL group. 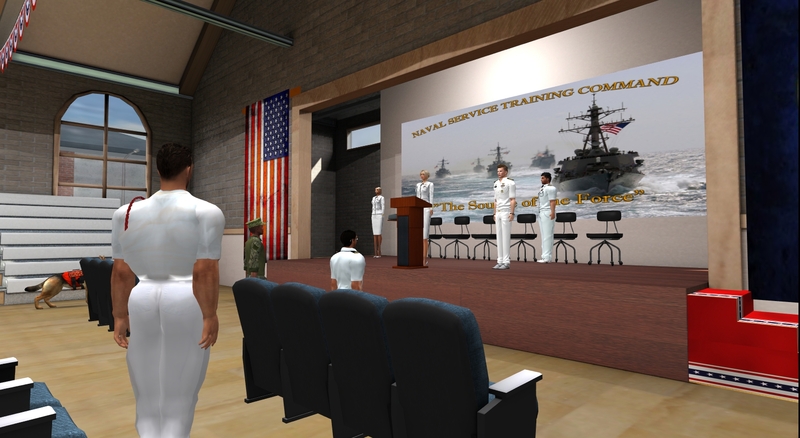 Admiral Harcassle accepted the endorsement, and is now RADM USN SL 3rd Fleet commanding officer. NAS Miramar congratulates Admiral Isaac Harcassle on his promotion and wishes him all the best in his command. The Blake Fleet Drill Hall on April 24, 2014. CDR. Vickster Kuhn reporting NAFEN status. The senior officers endorsing CAPT. Harcassle for Rear Admiral Upper Half. The Admiral's first dance. Cougar's Sore Bottom Sailing Club. When the gods loose their heads over a cocktail waitress. 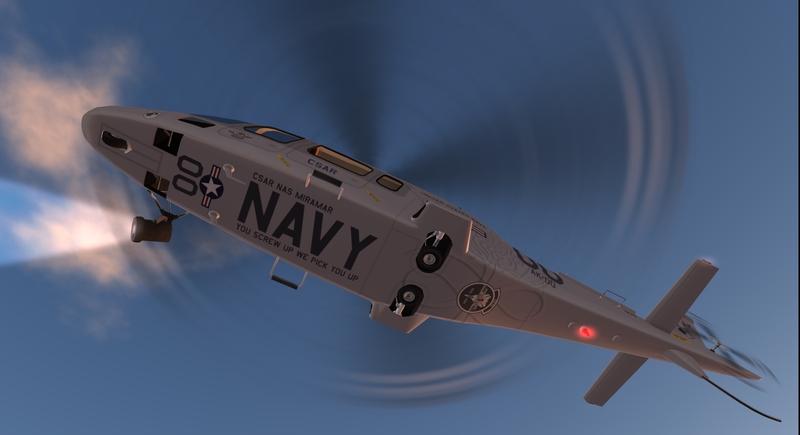 With the establishment of a ARRS capable SAR unit in NAF Avignon, HS-2, equipped with the Sikorsky H-92, NAS Miramar gets a little more wiggle room by replacing most of HS-4's Sea Kings with a more agile and light weight rotor. The choice was Agusta Westland's 109 DM - D for Dani Airplanes, the SL manufacturer, and M for Miramar, since it is a NASM custom order model for the US Navy SL. The 109 will fly PATROUs and CSAR for local squadrons and SEAL operations, and cover VIP transport. Pilots wishing to deploy with HS-4 will need a WOC/900 evaluation completed and a 109 specific certification, after which they will be sent the DM model by the manufacturer. 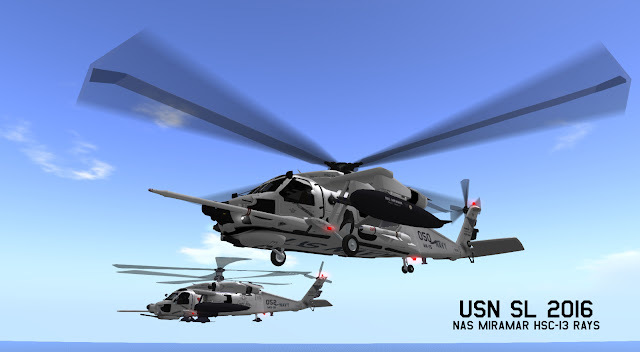 The Black Knights keep Sea King 66 active for ARRS open water SAR operations, thus maintaining the most famous Sea King in the US Navy, and indeed the world, in active duty. 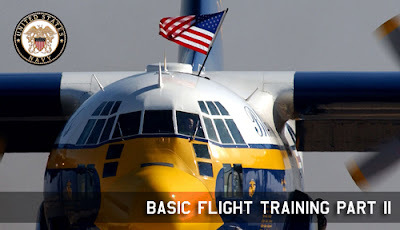 Naval Air Facility Eagles Nest (NAFEN) is one of the USN SL stations you can apply to serve as a Naval Officer, in this case a Naval Aviator, since it is the nest of the Navy Flight Demonstration Team (NFDT), the Blue Angels. Commander Vickster "Speed" Kuhn, Angel One, is also NAFENCO and our very own Top Gun lead instructor at NFWS Miramar. She has been steadily working with her aviators and the squadron suppliers to make the team up to Navy standards. And it's starting to show. Members, mission, practice, shows and more will be released in this weblog soon as part of the Blue Angels role as the Navy's global ambassadors. And if you are a Naval Aviator or aspire to be one, maybe one day you can fly a Yellow/Blue jet as well and go above and beyond the call. LCDR. 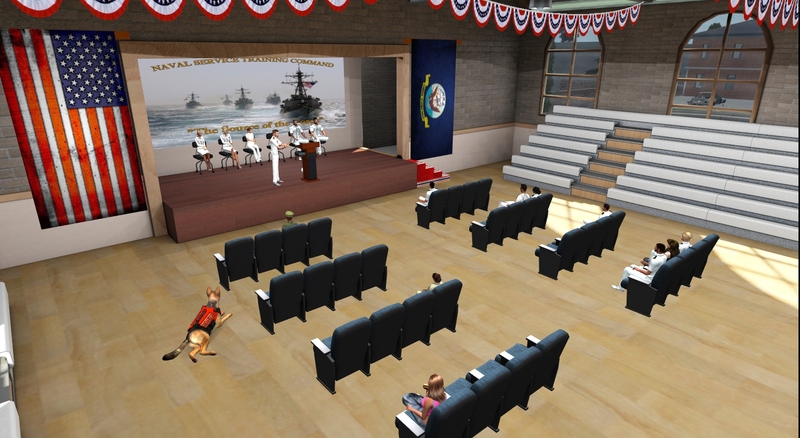 H. Duncan (USS Kitty Hawk) is conducting part two of a Basic Flight Training class at NAS Miramar this Sunday, April 10, at 12 hundred hours Pacific Time (SLT) - see here for part one. The class is open to all Naval Aviators and Cadets. All personnel from Miramar involved in flight operations is encouraged to attend. Attendance is not mandatory but will be reflected on your career record should you choose to participate. (*) Class components may change without prior notice. NAS Miramar is slowly coming to the point where operations start to matter and its mission becomes established as a day by day effort in which we all participate. 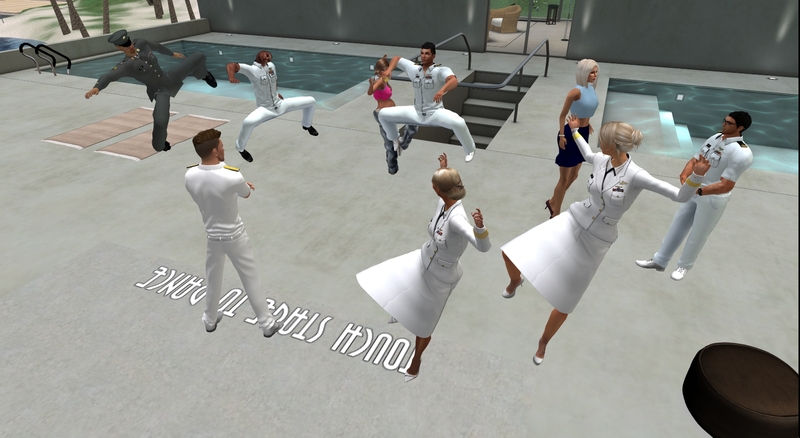 The goal was always to create not only the finest Naval Air Station in the United States Navy SL, to bring back the mystique of Top Gun in the glory days of Miramar and provide a home for aviators who crave a true Navy environment they can live in and fly from, but also to achieve all this with a true sense of purpose. And what better purpose than to help maintain and enhance the region we inhabit and where we serve. Tuarua Fiji has maintained the same spirit Seychelles Isles had. An open tropical island estate with around 80 sims, where residents enjoy the pleasures of sailing and flying in a way few others do in Second Life and is second to none. No matter where you are in Tuarua Fiji, one look around and you know you are there. The landscape, the architecture, the waterways, the vegetation and the residents' welcoming and open spirit tells you this is a special place. We mean to keep it that way. The transition of Tuarua Fiji from Rain Inoue to the Chung Corporation was consumed as seamlessly as possible with the help of the local management team, part of which was wisely assimilated and kept in place. Many Fijians provided the new owners with information and guidance as well, so they could quickly realise what Tuarua Fiji is and why we love it so much. It is a work in progress still but so far so good and the covenant remains an inspiration to all who crave the open air and sea regions and love the lifestyle and landscape unique aspects. People living in Tuarua Fiji chose it for these qualities, embraced the covenant and maintain the characteristics that make it a unique place, to be enjoyed by locals and visitors alike, in the best tradition of the sailing and flying open regions that stretch in all directions around the Blake Sea. 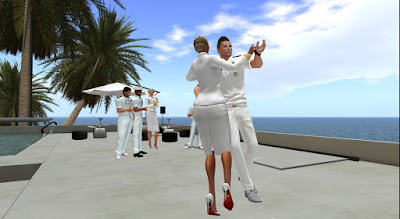 Set in the Northeastern Nautilus continent, bordering Corsica to the North, where Miramar sits on the South edge of the Aldabra Sea that unites the two continents, Tuarua Fiji has one of the largest common regions areas in Second Life. Keeping it the way it is, helping residents and visitors, being the eyes in the skies and the fins in the water for Tuarua Fiji's management is a challenge NAS Miramar and the USN SL rises to meet. Air and seaborne regular patrols are about to start over Tuarua Fiji out of NAS Miramar, with the clear purpose of providing early warning on any anomaly, from abandoned vessels that eat up local reserves to grieffing events that upset the balance of the Estate, and reporting it back to command and Tuarua Fiji management for effective response. Air and sea crews will receive an info package with all they need to know on how to do the job, and are expected to steadily cover the entire Tuarua Fiji area as we move forward, thus enabling us to proudly state we are the only United States Navy SL station with a real life type mission that exceeds role play and creates a true, useful and meaningful purpose to our service. Once the responsibility of the local Seychelles Isles Coast Guard (SICG), this mission is now carried out by the US Navy SL through her local Station, Miramar. To be assigned to NAS Miramar is thus a lot more than pursuing a role you play as naval enlisted or commissioned officer. It is a career that really impacts our area of influence and the home of many. More on this to follow. We serve with honor and commit ourselves to the job at hand with no reservations. We are United States Navy SL. And proud to be Fijians. You can see the same MH-60 on both pictures above. The 2016 picture shows HSC-13 AK-050 BuNo 16005, flown by CDR. 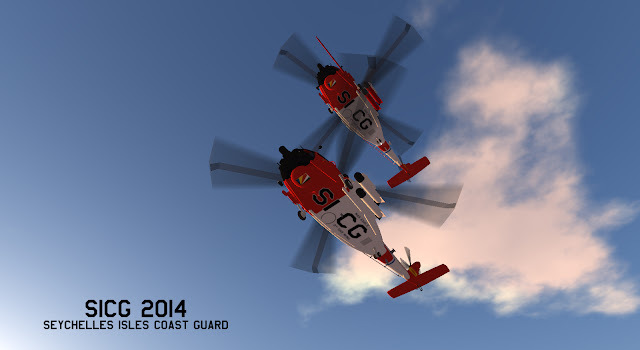 Asra "Cougar" Kron, USN SL (closest to the camera) and the 2014 picture shows the same MH-60 in Helpatron One livery, SICG-050, flown by then Ensign Asra "Cougar" Kron, Seychelles Isles Coast Guard (the SH-60 flying higher) - notice the port side fuel probe. PATROUs procedure were set in place on April 14, 2016.